Feb 2017. 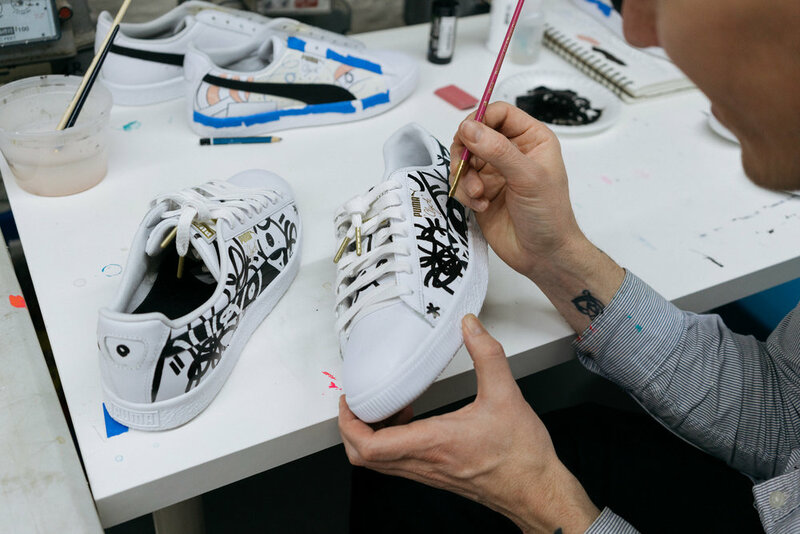 In celebration of the opening of new Foot Locker stores Puma approached me to curate and work with local artists in the NYC market to customize a dozen pairs of Puma Clyde’s for their Pumalab, a shop-in-shop within the Footlocker space. 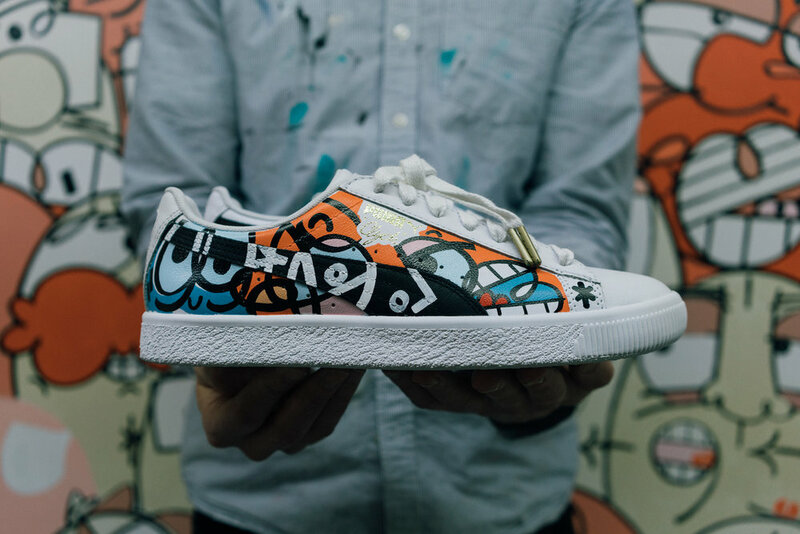 Collectors could purchase a piece of art normally out of reach for the mer price of a pair of sneakers. Some sold out in as few as 15 minutes with combined social media impressions of 24,000.